Colmar is the capital of wine and art in Haut-Rhine which is the southern part of the Alsace region of France and has about 86,000 residents. 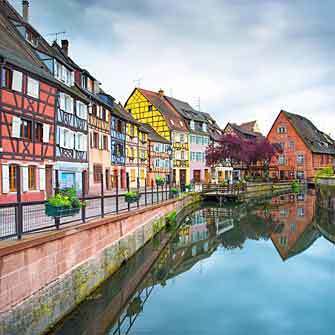 Picturesque half-timbered style homes and buildings, and multiple canals makes the city really quaint and beautiful, and it’s best known among tourists for its well preserved old town. 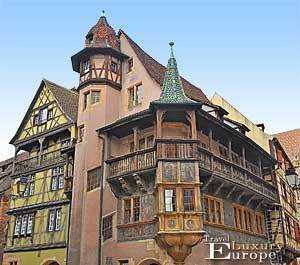 Colmar was founded in the 800’s and was taken by a Swedish army for two years in 1632. Following this the city belonged to Germany but became a French city in 1697. The German influence can certainly be seen among the architecture of the old town today. 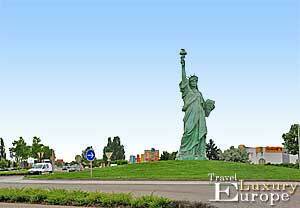 A quaint French town seems like an unlikely home for the Statue of Liberty yet here, at the northern entrance to Colmar is a copy of the famous American landmark, the Statue of Liberty. The reason for this being here is because the creator of the Statue of Liberty, sculptor Frederic Auguste Bartholdi, was born in Colmar. There is, of course, a museum dedicated to Bartholdi within his childhood home in the centre of the city. Among the many stunning examples of historic architecture is Maison Pfister. 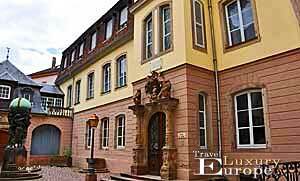 This beautiful house is a German Renaissance style and dates from 1537. It was owned by the rich hatter, Ludwig Scherer. 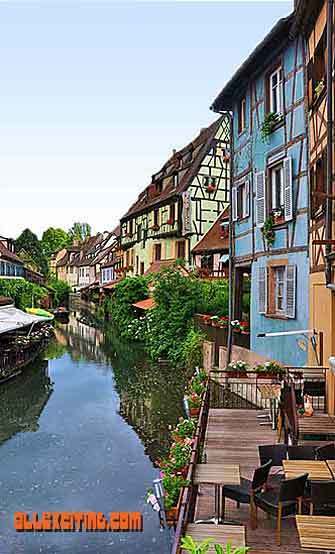 Little Venice is a neighbourhood of Colmar that is crossed by canals featuring lovely little bridges, and attractive canal-side homes and restaurants that include more of the half-timbered architecture and appealing pastel colours. The Alsace region in which Colmar is located is known for its excellent white wine, and there are several wine shops where you can taste and buy good wine here in Colmar. The best quality wines, grown on the best areas in Alsace, have the name “Grand Crue.” It is twice as expensive but not always twice as good, so be sure to taste a sample before buying. 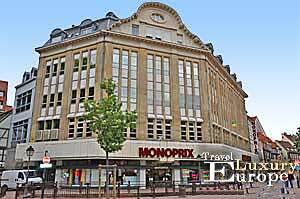 The Monoprix department store is right in the centre of town and you’ll find a great assortment of food, wine, clothing and cosmetics here to buy. If you want to stay in an apartment during your stay, one of the best apartment hotel is Les Appartements de Home Petite Venise located among these beautiful half-timbered houses. 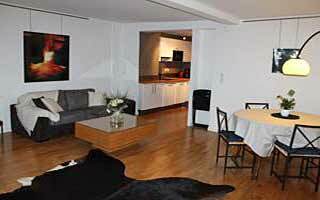 Fresh and modern apartments with one or two rooms for up to 5 people. 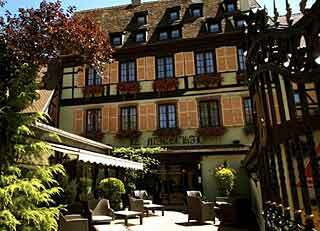 An amazing hotel is the Hostellerie Le Marechal. Central in the picturesque quarter “Little Venice”.